Downtime is scarce this time of year, but if you need to pass the minutes while waiting at the elevator or wind down after a long day, check out these videos. 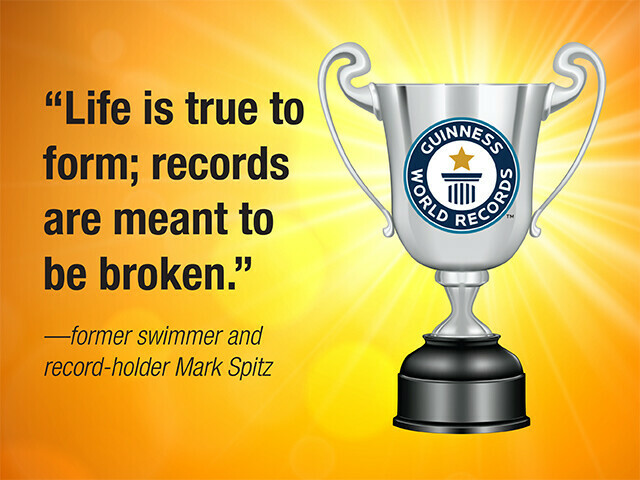 Former competitive swimmer and record-holder Mark Spitz once said: “Life is true to form; records are meant to be broken.” That's exactly what these feats accomplished. 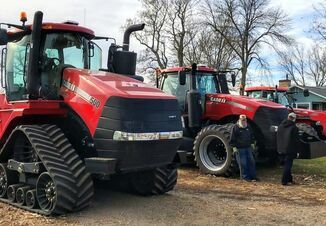 A new Guinness World Record was set near Winkler, Manitoba, Canada, on Aug. 4, when 303 combines harvested the same crop of winter wheat continuously for five minutes. The Children’s Camps International event raised close to $5 million, enough to send 1 million kids to camp in developing countries. The new record far surpasses the 2012 total of 244 combines set in Dalmeny, Saskatchewan. A Colorado farmer teamed up with Claas to set a new Guinness World Record for most hay cut in eight hours. While attending Agritechnica in Germany, Tate Mesbergen learned a Polish company had set a record by mowing 243 acres of alfalfa in eight hours. He knew he could beat it. Mesbergen cut 35' wide passes at 19 mph for a new record of 348.67 acres in eight hours using a Class Disco 1100 RC. Forgetting the traditional limits, Nokian Tyres and Valtra have set the world record for snow removal with an autonomous tractor. The speed record was set in March 2018 using an unmanned Valtra T254 Versu tractor equipped with Nokian Hakkapeliitta TRI tyres. Operated without a driver, the tractor plowed snow on a closed road in southern Finland at 45.466 mph. Pearson Farm in Fort Valley, Ga., harvested a 1.8-lb. peach, surpassing the former record of 1.75 lb. One of the farm’s workers is always on the lookout for large peaches, which typically weigh from one-third to half a pound. Pearson Farm’s massive peach grew naturally, but the particular tree didn’t have a full crop. Owner Al Pearson says he plans to make a mold of the peach to display. Weighing in at 4,437 lb. and 63 oz., the Dairy Farmers of Wisconsin set a new Guinness World Record for the largest cheeseboard. Featuring 145 varieties and styles of Wisconsin’s cheeses, more than 60 people worked to accomplish the feat. A 2,000-lb. cheddar wheel accounted for nearly half the board’s weight. The custom-made 35'x7' board was digitally fabricated to represent a barn.